Halifax’s Piece Hall continues to attract a diverse and distinctive collection of tenants with four further companies choosing the iconic location for their new businesses. A luxury fashion label; a coffee and cake shop; a gallery specialising in cartoons, caricatures and prints and a games and toy shop have all taken occupancy at the Grade I listed building recently. Eden Keshia is the designer and creator of artisan, bespoke clothing and accessories. Her new 392sq ft studio space on the upper Colonnade level of The Piece Hall will work as both a shop and workspace to allow clients and customers to see at close hand the detail of each hand made design. Currently selling online and through a London based distribution company, Eden will continue to create sustainabile and cruelty free fashion as well as develop her clothing line to include bridal wear and accessories. 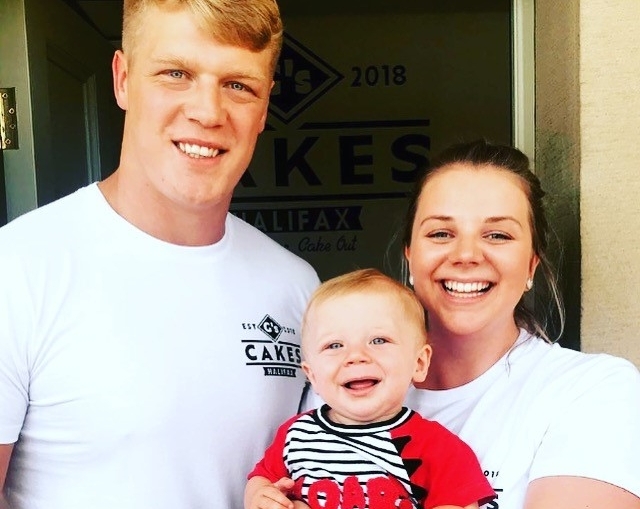 G’s cakes is a family affair, set up by couple Alice & Dan Fleming and named after their nine month old son George. This is the first venture into business together for Alice and Halifax Rugby League FC prop Dan. An independent coffee house with hand designed cakes baked and decorated on the premises, G’s cakes is a welcome addition to the Colonnade level and the 294sq ft unit is a perfect spot for a pit-stop and re-fuel or to pick up some treats to take home, their made-to-order ‘cake out’ service being particularly sought after. Collector turned shop proprietor Nick Jones has spent over 40 years seeking out and amassing an idiosyncratic collection of cartoons, caricatures and prints. All the work on sale in Nick’s 228sq ft shop on the Colonnade, Off the Wall, is either original artwork or prints produced or published at the time, not modern copies or reproductions, ensuring it’s crammed-to-the-rafters with an eclectic mix of work to suit most tastes, and pockets. Totally Awesome is the second toy and games shop from husband and wife team Aamir and Lisa. Since opening their first business in Hebden Bridge business has flourished and it felt a natural next step to repeat their successful formula in nearby Halifax, with The Piece Hall the clear favourite destination. Taking a 490sq ft space on the Colonnade has allowed them to line the walls with board games, puzzles, pocket money treats, scooters, skateboards, remote control models and juggling props. Totally Awesome is unique in the way it allows customers to get close to the products and a key differentiator being their demo / games area allowing players of all ages to try before they buy. Nicky Chance-Thompson, chief executive of The Piece Hall Trust, said: “It is always a great moment when the doors open on a new business here and each one brings something new to the building, adding to the wonderful mix we have already. “We are constantly talking to new potential traders and organisations interested in taking office space to make sure we are offering the right balance of businesses. As well as retail and food and drink outlets we are hearing from architects, designers and people in the creative sector, all keen to be part of the on-going renaissance of The Piece Hall and Halifax.